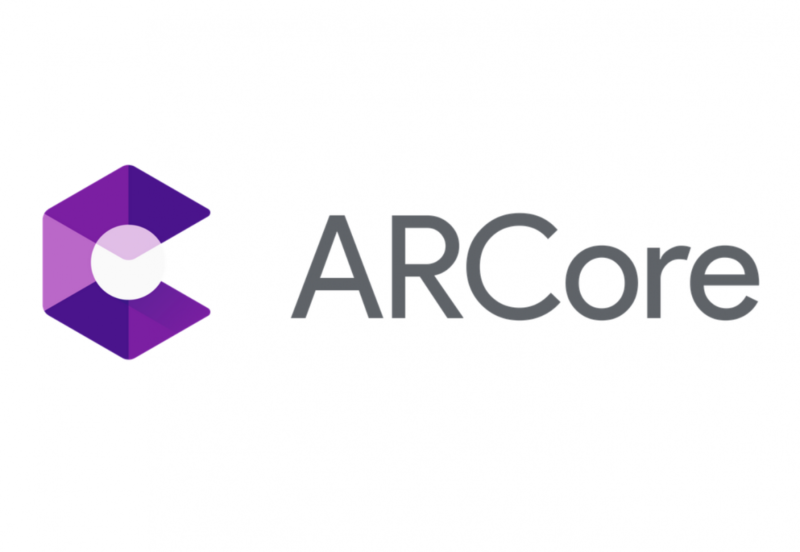 Google’s augmented reality SDK, ARCore, is getting a big update to version 1.7. In a blog post, Google states that version 1.7 focuses on “creative elements” like augmented reality selfies, animating characters in Sceneform AR apps, integrating ARCore Elements, and adding Shared Camera access. Furthermore, the official list of supported devices has expanded to include devices like the Honor View 20, Moto G7 series, OPPO R17 Pro, and more devices. The new Augmented Faces API lets developers overlay a user’s face with 3D effects. As an example, Google says developers can create effects like animated masks, glasses, virtual hats, or perform skin retouching. It uses the front-facing camera to create a 468-point 3D mesh which provides coordinates and region-specific anchors. Developers can use Unity or Sceneform to get started with the Augmented Faces API. Objects created in Sceneform can now have animations added to them, like dancing, jumping, or spinning. The ARCore SDK for Unity has integrated ARCore Elements, common AR UI components designed to simplify your workflow. Plane Finding and Object Manipulation, which streamlines the process of detecting a surface and using gestures to manipulate virtual objects respectively, are two of the AR UI components that Google highlighted in their blog post. Switching in and out of AR mode will become more seamless for the user thanks to Shared Camera access in the SDK. This feature lets users pause the AR experience, jump to the camera to snap a picture (ideally, of something in your app), and then gracefully return back to the AR experience. New Camera.getTrackingFailureReason() (Java) and ArCamera_getTrackingFailureReason() (NDK) method that returns the reason for AR tracking failure when tracking state is PAUSED. New Frame.transformCoordinates2d(…) (Java) and ArFrame_transformCoordinates2d(…) (NDK) method that transforms a list of 2D coordinates from one 2D coordinate system to another 2D coordinate system. Apps can now enable Augmented Faces with the front-facing (selfie) camera by requesting the FRONT_CAMERA feature when creating a session. New methods CameraConfig.getFacingDirection() (Java) and ArCameraConfig_getFacingDirection() (NDK) let an app check if it is using the front-facing camera. Note: Motion tracking, all types of anchors, Augmented Images, and plane detection are not available when using the front-facing camera. New method Config.setAugmentedFaceMode(…) lets an app enable Augmented Faces. New Trackable AugmentedFace class to detect a face, determine region poses and generate a 3D face mesh. AugmentedFace (Java) class and a set of ArAugmentedFace_* (NDK) methods provide getters to request the center pose, region poses, vertices, normals, and triangle indices of the 3D face mesh. Apps can now share camera control with ARCore by requesting the SHARED_CAMERA feature when creating a session. This feature is primarily intended to allow fast switching between camera-only (non-AR) and ARCore modes. New shared_camera_java example that demonstrates how to share camera access with ARCore. New SharedCamera class to enable apps to share Camera2 API access with ARCore. Note: Frame.getImageMetadata() throws IllegalStateException when using a shared camera session. Instead, subscribe to the camera callback directly by using SharedCamera.setCaptureCallback(…), and use Frame.getAndroidCameraTimestamp() to correlate frame to metadata. New method Session.getSharedCamera() gets the shared camera object for the session. New method Frame.getAndroidCameraTimestamp() returns the Android camera timestamp of the image. New method Session.close() allows for explicit release of resources held by ARCore session for better resource control. PointCloud now implements Closeable, allowing it to be used with Java try-with-resources and Kotlin use blocks. Frame.transformDisplayUvCoords (Java) and ArFrame_transformDisplayUvCoords(NDK) is now deprecated. Please use frame.transformCoordinates2d(Coordinates2d.VIEW_NORMALIZED, …, Coordinates2d.TEXTURE_NORMALIZED, …) (Java) and ArFrame_transformCoordinates2d(…, AR_COORDINATES_2D_VIEW_NORMALIZED, …, AR_COORDINATES_2D_TEXTURE_NORMALIZED, …) (NDK) instead. Java: Session.createAnchor() and Trackable.createAnchor() will now correctly throw SessionPausedException and NotTrackingException when appropriate instead of FatalException. C: ArSession_acquireNewAnchor() and ArTrackable_acquireNewAnchor() will now correctly return AR_ERROR_SESSION_PAUSED and AR_ERROR_NOT_TRACKINGwhen appropriate instead of AR_ERROR_FATAL. Since we last brought you news on Google’s augmented reality platform, here are the devices that have been added to Google’s list of supported devices. The Honor View 20, Huawei Y9 2019, Moto G7 Power, and OPPO R17 Pro have all recently launched in India. The Huawei Nova 4 and Vivo NEX Dual Display Edition have yet to launch outside of China. If you manage to download Google ARCore 1.7 on a supported device, check out some of the augmented reality experiences available on the Google Play Store. I’ve linked one simple app below that I like to use to verify that ARCore works.